Vanessa Valenzuela is from the town of Sta. Josefa. She is 31 years old. Vanessa is married and has three children aged 9, 5 and 2. She is engaged in farming. She plants and harvests rice crops. 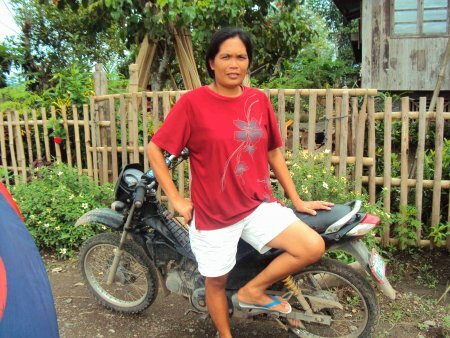 Her husband, who is also a farmer, earns extra through "habal-habal" (motorcycle transportation). Vanessa dreams for her children to finish their studies and have bright futures. Vanessa joined CEVI to gain access to financial services to help improve her living situation and ability to engage in business activities. Vanessa has successfully repaid a previous loan from CEVI. Vanessa is requesting a new loan of 15000 PHP which will be used to purchase fertilizers such as manure. She plans to use the additional revenue generated from the business to financially support her family.